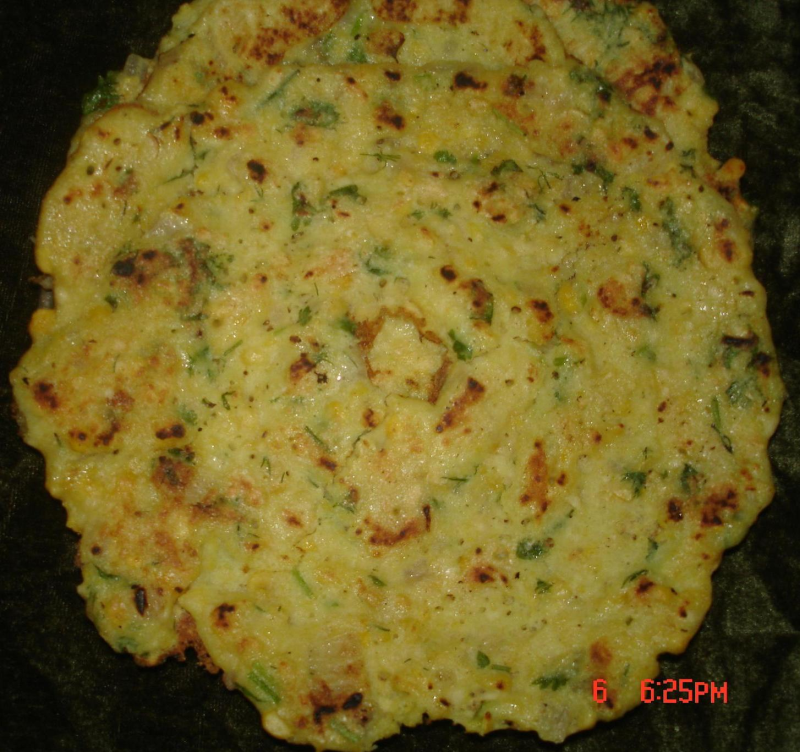 Do not add hing as shepu is added.After grinding,add shepu and keep the batter for an hour.then make adai. Wash and Soak rice and Urad dal,chana dal and tuvar dal together for 2 hours. Grind them with redchilli,green chilli and ginger and make a coarse batter.Add salt to it.Do not add more water. Wash and drain shepu.Chop them into small pieces. Add Shepu to the adai batter. Preheat the tawa and grease the tawa with oil and add the batter. Put the batter in the middle of the tawa and spread it roundwise.Apply oil on all sides. If u want to put the hole in the middle but for shepu adai its not done like that. After it becomes crisp and brown turn it to the other side. Now shepu adai is ready. Can serve with jaggery or thenpaghu or avial. thanks christy for clearing sneha's doubt.Dill leaves is called shepu in marati.